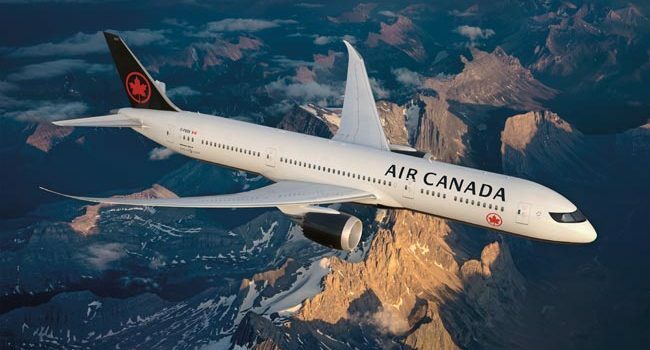 Air Canada has unveiled a new livery for its aircraft and new uniforms for its employees, at three events held simultaneously across Canada in Toronto, Montreal and Vancouver. Air Canada adopted its current red, blue-green and white livery in 2004. It previous livery, featuring a red maple leaf emblem on a plain green background, was in service for just a decade, from 1993 to 2003. That livery followed the livery for which Air Canada is perhaps best remembered, each of its aircraft wearing a red stripe along its fuselage and the tail featuring a white maple-leaf rondelle on a plain red background. Air Canada’s aircraft wore that livery for nearly 30 years, from 1964 until 1992. Air Canada’s fleet of 300 mainline and regional aircraft are now being repainted in a black-and-white design that highlights the carrier’s traditional red encircled-maple-leaf ensign, or “rondelle”, which returns to the tails of the flag carrier’s fleet after an absence of 24 years. The new fleet livery was designed by design firm Winkcreative, headed by Canadian entrepreneur Tyler Brûlé. Following the February 9 events at which the livery was unveiled, the first three aircraft sporting the new livery entered service immediately. 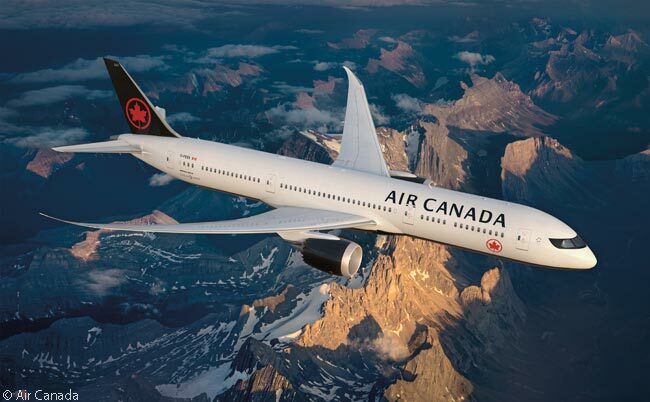 “Air Canada’s new livery signals a pivotal inflection point in our 80-year history,” said Benjamin Smith, Air Canada’s president, passenger airlines at the event in Toronto, where the airline’s largest hub is located. 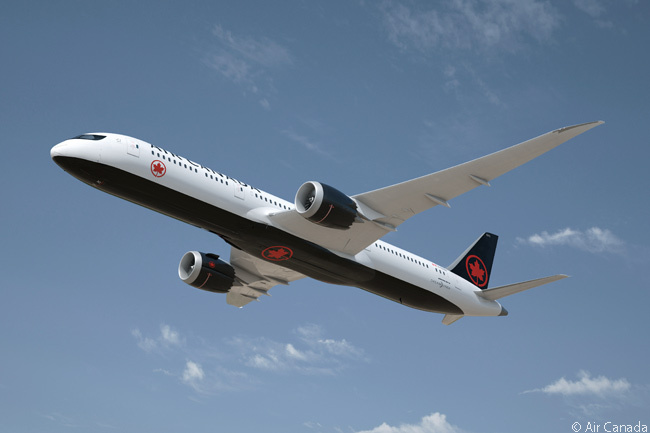 “On the occasion of Canada’s 150th anniversary year, with our new livery, new uniforms for our employees, the award-winning international cabin standard introduced with the launch of our Boeing 787 aircraft, and enhanced onboard offerings, the future Air Canada represents the strength of our nation and the future-looking spirit of our airline,” said Smith. For the unveiling of the new livery, Air Canada also premiered new charcoal gray-and-black employee uniforms with red accents and accessories by Canadian designer Christopher Bates. The uniforms are designed to complement the charcoal grays, natural tones and red accents featured in the new interior cabin design for Air Canada’s international fleet. Air Canada’s pilots, flight attendants, airport customer service agents and other uniformed personnel, who together comprise approximately two-thirds of its 30,000 global workforce, will start wearing their new uniforms later this year. 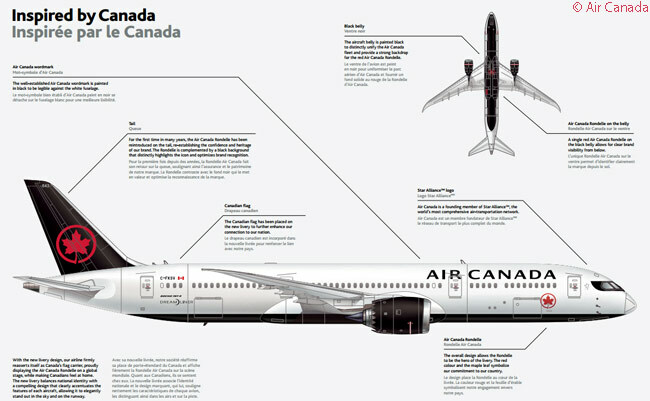 A comprehensive brochure describing Air Canada’s new livery, with illustrations, is available at www.aircanada.com/content/dam/aircanada/portal/documents/PDF/media/livery/illustrative_guide_en.pdf. I would like to see bring back the original. Red. And grey Stripes on the air Ontario dash 8✈️. And also Dc10 original red and white stripes from 1980?